Memphis, Tenn. — Methodist North Hospital will hold the Walking in Memphis Art Appreciation Event on June 5 to recognize Memphis College of Art students Terri Scott, Dezmond Gipson, Laura Miller, Kathie Rupert, Maysa Sem and Barrett Smyth. The students created Memphis-themed art pieces for Methodist North Hospital’s Total Joint Center as part of an MCA Give Back project. “The idea was for the students to create artwork based on Memphis landmarks that patients could walk toward after their hip or knee replacement,” said Carrie Brooks, MCA’s director of career services and head of the Give Back program. “The original idea was a mural, but it later evolved into the students creating individual pieces, which would allow for the artwork to change locations depending on the needs of the Center and also allow the students to work in their preferred medium,” said Brooks. Many of Memphis’ most treasured landmarks are featured in the artwork. Terri Scott created artwork depicting the Pink Palace and Beale Street, while Barrett Smith painted the Liberty Bowl and the Pyramid. 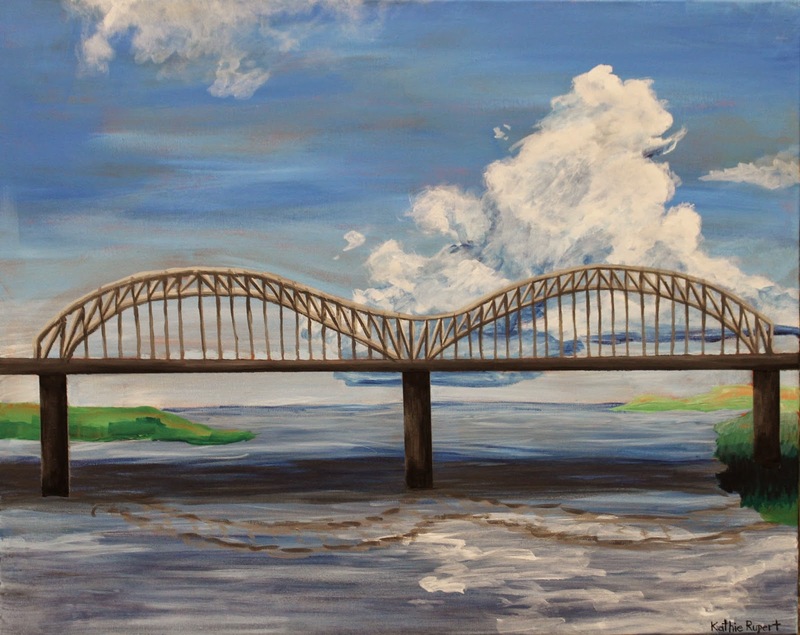 Dezmond Gipson turned his talents to Graceland, Maysa Sem and Laura Miller collaborated in a tribute to the Memphis Zoo, and Kathie Rupert chose the Hernando DeSoto Bridge over the Mississippi River as her subject. The reception will be held on Thursday, June 5 from 3–5 p.m. in the lobby of the Total Joint Center of the Methodist North Hospital, 3960 New Covington Pike. Photo: The Memphis Bridge by Kathie Rupert.